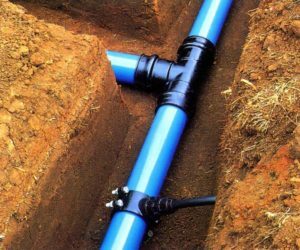 Buried way under the ground or under your home, sewer main and a water mains are truly an art when it comes to installation, this is especially true due to accessibility difficulties. This is why it is so important to hire professionals like Keemer Plumbing when it comes to sewer and water main installation and repair. We service the Salt Lake City and across the Wasatch front in Utah metro areas. If you find yourself with low flow or notice a decrease in the flow water on your property, the problem may not always be caused from blocked pipes and sewer lines. More often than not, we find the problem to be originating from the water main or main line. The water main is the line that delivers the water from the neighborhood or city supply, connects to your property to provide you with water. The water main has a tendency to experience more problems than other plumbing lines and systems on your property as many of the main lines are older and smaller than the rest of the area’s supply lines so eventual replacement is often inevitable in order to address the low flow issue to your property. Keemer Plumbing provides fast and professional water main repair and replacement services in Salt Lake City and across the Wasatch front in Utah. When you are experiencing low flow, our team of professional plumbers will get on it right away to replace your existing water main as quickly as possible to ensure as little interruption as possible in the water supply to your home or business. We know what we’re doing and will ensure the job is done right and as quickly as possible. Whether your property is a commercial or residential. 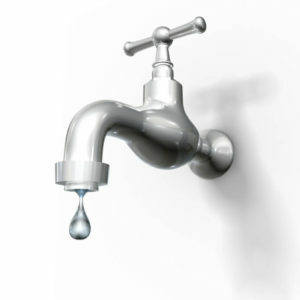 Keemer Plumbing will provide trust a fast and efficient water main replacement and have your water flowing in no time! Our team of professional plumbers have experience to address your sewer pipe issue whether it be a simple blockages to full sewer line repair and replacement. Whether you are dealing with a burst pipe or collapsed drain, we can handle the job for you. Trust us to evaluate and solve problem before they become a costly repair to deal with later. We offer sewer repair services in Salt Lake City including repairing broken sewer and main water lines, replacing collapsed drains and resolving continuous blockage issues.You can count on Keemer Plumbing when you have an emergency plumbing issue, call and we’ll be there to deal with your system’s problems as quickly as possible. Regardless if it is your home or business, sewer & water mains are NOT something to to mess with with. Keemer Plumbing located in the greater Salt Lake City metro area is here to help. We also service that greater West Valley, Kearns, and Park City UT metro areas!